English Romantic painter John Constable sadly passed away on 31st March 1837. Born 11th June in 1776 in East Bergholt, Suffolk, He is known principally for his landscape paintings of Dedham Vale, the area surrounding his home—now known as “Constable Country”—which he invested with an intensity of affection. “I should paint my own places best”, he wrote to his friend John Fisher in 1821, “painting is but another word for feeling”. During his youth, Constable embarked on many amateur sketching trips in the surrounding Suffolk and Essex countryside that was to become the subject of a large proportion of his art. 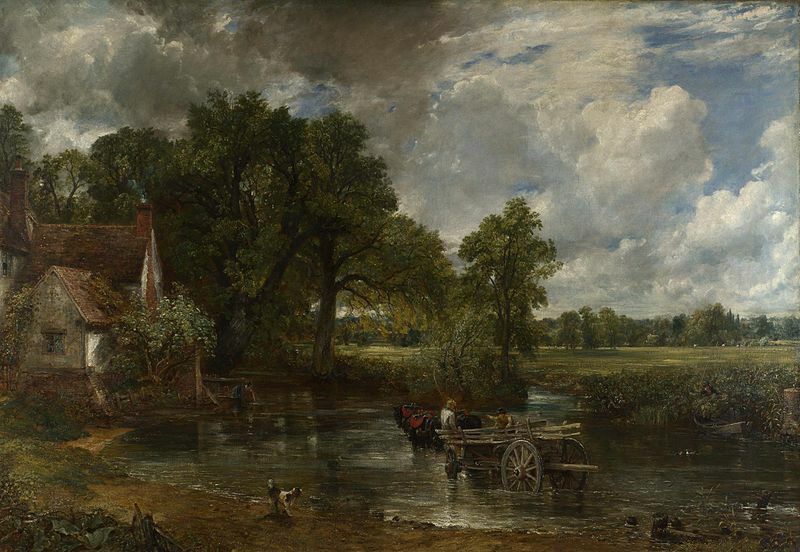 Some of Constable’s most famous paintings include Dedham Vale of 1802 and The Hay Wain of 1821. Although his paintings are now among the most popular and valuable in British art, he was never financially successful and did not become a member of the establishment until he was elected to the Royal Academy at the age of 52. He sold more paintings in France than in his native England. He could never have imagined how influential his honest techniques would turn out to be. Constable’s art inspired not only contemporaries like Géricault and Delacroix, but the Barbizon School, and the French impressionists of the late nineteenth century.